1. Start with three to five cheeses differing in texture from soft to hard - this how to achieve a range flavor. 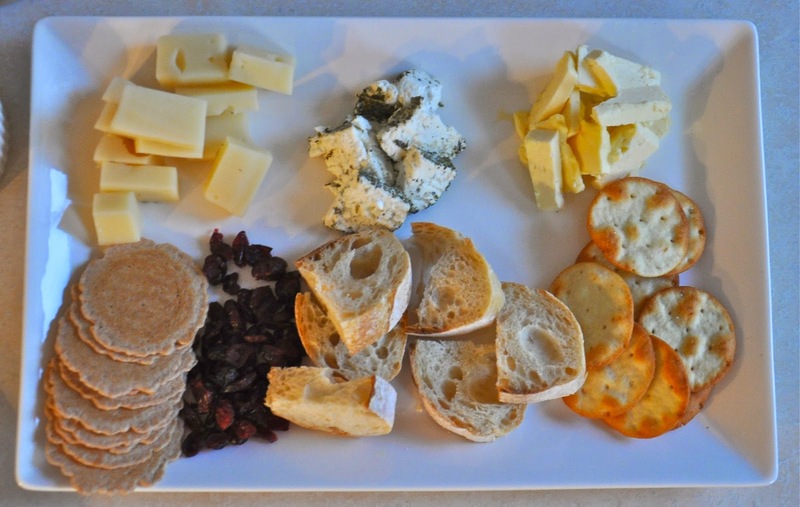 The above array features a triple-cream brie (my personal favorite! ), a goat cheese and cows-milk cheese. 2. Provide a few carb options, like crackers or french bread. 3. Vary the flavors with something savory or sweet like apples, dried cranberries or honey. 4. Garnish with something salty/crunchy, like sesame sticks or nuts. Easy-peasy - no need to dirty anything more than a cutting board! Follow the above tips and you're bound to satisfy guests with a variety of palates. I will be trying this combo this weekend! Looks delish!